Want to try the world's purest baby wipes, WaterWipes, for free? Here's how! Want to try the world’s purest baby wipes, WaterWipes, for free? Here’s how! Made almost entirely of water, these incredibly pure and gentle baby wipes are pretty much in a world of their own. There’s really nothing else like them on the market, and we’re giving some lucky Babyologists a chance to test them out. Baby wipes will become a mainstay in your home from the minute you bring your baby home. Sticky hands and faces, dirty bottoms and everything in between will require nothing more than a deft flick of the hand with a baby wipe. But because they’re being used in sensitive areas, baby wipes do need to be as pure as possible – and they don’t come any purer than WaterWipes. WaterWipes contain 99.9 per cent purified water, and 0.1 per cent fruit extract. That’s it. There are no chemicals, preservatives or parabens – no nasties whatsoever. They are also the only baby wipe in the world approved by Allergy UK. 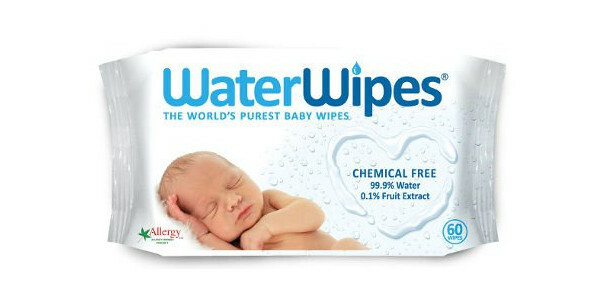 Using these pure WaterWipes will help to avoid irritating skin conditions like eczema, and nappy rash. As well as containing only natural ingredients, WaterWipes are soft and absorbent – they’re just like using old-fashioned cotton wool and sterile water, but a lot more convenient. WaterWipes are used by neonatal units across the world, and recommended by midwives. The patented technology used to create WaterWipes means that they are the world’s purest and mildest baby wipes. If your baby is prone to nappy rash and you prefer to use only natural products on their delicate skin, we’d love you to register for this trial. If you’re one of the first 20 people to register below, you will receive a full pack of WaterWipes, containing 60 wipes per pack. We’ll also send you out a survey, so you can let us know what you think. Happy wiping!